This MacBook Air 13 inch model was accidentally closed on something that was left on the keyboard. The object put pressure on the delicate LCD panel and cracked the screen in the right middle. There is a burst pattern of red and black smears and cracks and drips across the display. These weird colors are a sign of a damaged LCD panel. 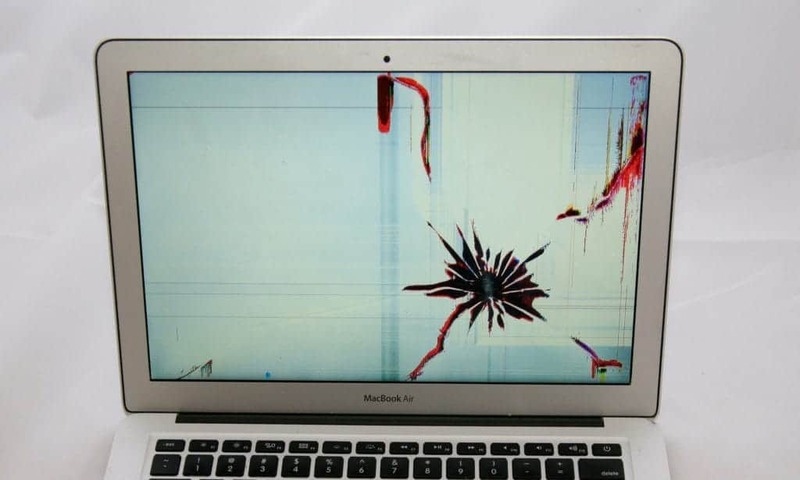 We simply replace the broken LCD with a new screen to fix the Mac laptop.